Gdansk has amazing beaches with wide stretches of clean sand, even though water in the Baltic Sea is rather cold. And if you're lucky, you might find a piece of amber. The first swimming areas in the Gdansk area were designated in the early 19th century. Which ones are worth a visit? See our review of selected Gdansk beaches to find out! Since 1990 the city's lifeguarded swimming areas have been operated by the Gdansk Sports Centre. It continuously improves the quality of beach experiences by ensuring clean conditions and introducing new attractions for children and adults, whether they prefer active leisure pursuits or just a good spot for winding down. Gdansk's swimming areas also host educational and pro-community events. 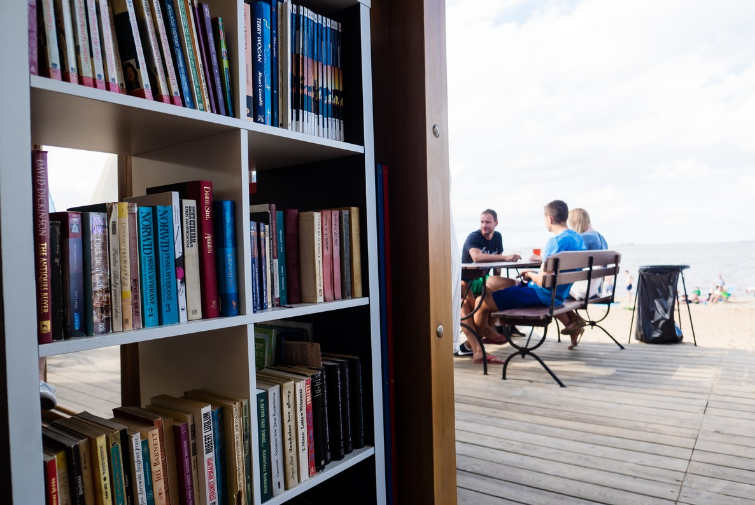 Each one has a beach library to make your beach experience even more interesting. If you live an active lifestyle, check out the beach volleyball and handball courts. With the “Mom, I'm here” armbands available for free from lifeguards, missing children can be quickly located, and if your child needs to visit a first-aid station, they will become a “brave patient”. Thanks to the “e-beaches” campaign you can check out the current weather and swimming conditions on any beach during lifeguard service hours (9:30 am - 5:30 pm) at www.kapieliskagdansk.pl.